Help us find a new workshop space! THANK YOU to all the businesses, churches, organizations, schools, scouts, families, and individuals who help us fill Christmas stockings for the less fortunate. Without your support we could not fill the over 3,500 Christmas stockings agencies request each year. We continue to be amazed and blessed by the amount of support we receive each year. 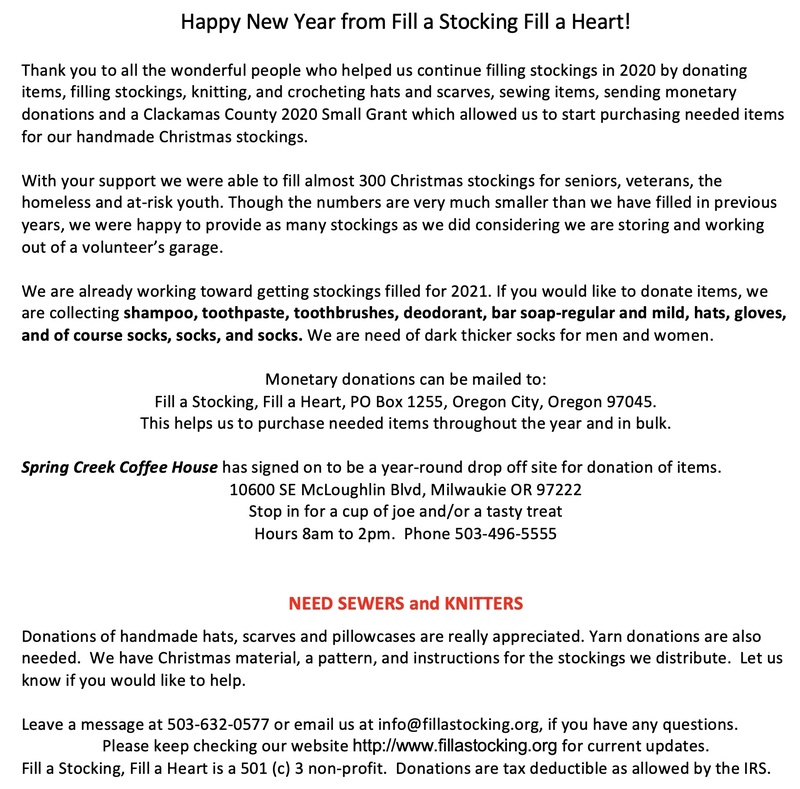 The volunteers of FILL A STOCKING, FILL A HEART thank you from the bottom of our hearts!